I thought it would be helpful to create a resource page that you can always come to for all your trading needs. I’ll add to it as I come across useful tools. Disclosure: Please note that some of the links below are affiliate links, and at no additional cost to you. I will earn a commission if you decide to make a purchase. Please understand that I have experience with all of these companies, and I recommend them because they are helpful and useful, not because of the small commissions I make if you decide to buy something. Please do not spend any money on these products unless you feel you need them or that they will help you achieve your goals. If you look at nothing else on this page, these are the top top things you should know about. I find myself recommending these resources again and again. I use them because they are indispensable for testing my trading systems and because they make my life easier. I’m confident you’ll agree too. ForexTester Historical DataAll of my historical data comes from ForexTester. It provides a source of well-known broker sources for both tick and minutely data. The data is high-quality and I have verified it myself by comparing live trading to backtests performed on their data.Try ForexTester Data! ForexCopier 2.0To copy trades across various accounts this is truly the best. It has an intuitive interface, works out of the box, and is highly customizable. I’ve used it personally in my fund setup. 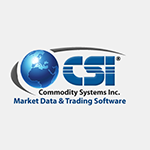 CSI DataFor any backtests on daily data CSI Data is the best. I use it for my Futures Trading Systems. It contains data for all futures, and allows you to splice them any which way you want. It’s perfect and reliable. Be it backtesting of manual rules or automated systems, a historical analysis of trading results is an absolute must! Only these results will be able to give you confidence in starting to trade your system, and give you an insight into how much to bet on every trade to gain the best possible profit out of your system. Below is a growing list of systems which I have used, and can recommend whole-heartedly. They remove the drudgery of having to code all the bare bones of any good backtester: ledgers, blotters, trade analyzers and so on. If you want to make quick and efficient progress in your trader development the tools below are indispensable. ForexTester 2.0 will deliver the hard facts about your strategies. If a strategy is not profitable, you will find it out quickly with Forex Tester (contrary to testing in a demo account). Now you can improve it or invest your time to develop another strategy. Likewise, if you have a great strategy, you want to trade this as soon as possible. Forex Tester delivers the results you need to do so with confidence. All journeys require preparation. And it’s no different for trading. The following list of books has proven an invaluable source of information, and I consider required reading for anyone who sets out on the journey of trading Foreign Exchange, or for that matter, any other market. Breakout strategies form the core for many successful trading strategies. 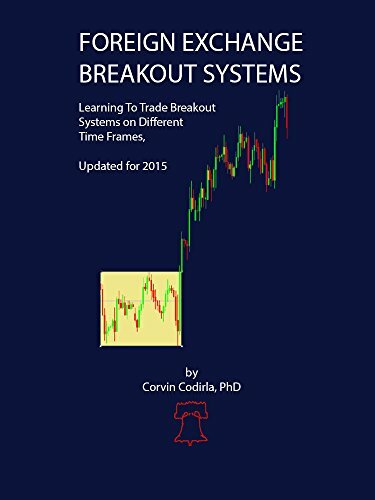 In this Kindle edition I show you how to setup your breakout strategy, how to apply it across different time-frames, and how to go about measuring if you are in the right market regime to make it profitable. Plenty of backtests are included, as well as MT4 source code samples to help you implement these strategies. Cory’s book, Forex Strategies Guide, from Vantage Point Trading goes into great detail about the FX Markets, covering important concepts such as the right time of day to trade, how to calculate roll over charges, choosing the right broker. Cory also provides a collection of strategies which are extremely interesting in their own right. Cory has been around for some time, and runs VantagePointTrading.com, a website with lots more resources. A Three Dimensional Approach To Forex Trading covers not only the technical aspects of the Forex market, but also its history and most importantly its relation to other markets, which enables the novice trader to step outside the TA-box, and become much more confident in taking a view on the market. Highly recommended. Market Wizards: Interviews with Top Traders is the book that got me started down the route of systematic trading. My version dates back to 1990, is battered and yellow-leafed, and I have read it more times than I can remember. But here’s the point, with every re-reading you extract new information! The best part is: strong>25 years later the traders interviewed are still going strong. Trading Systems and Methods (5th Ed.) Wiley Trading is a complete must have! It is encyclopaedic in its collection of trading systems and strategies. If you are ever stuck on a desert island with a trading terminal this is the book to take for trading ideas. It covers almost everything you’ve ever heard of and more. The Logical Trader: Applying a Method to the Madness (Wiley Trading) is one of the best books on trading I’ve ever read, from an acknowledged master. It’s focused predominantly on intra-day and tactical trading set ups, covering some very important ground. I can tell you, that even the hedge fund greats have read this book! Not to mention that his approach is used by many technical traders. A must read!